A friend who picked up the order specifically flagged Lee's vulnerability before picking up the food, according to testimony during the trial previously reported by BBC News. But the food that killed Lee was later determined to have contained nut protein contaminated through improper food handling at the restaurant. A medical examiner determined the high school student had suffered brain damage after an acute asthma attack from the nut traces. 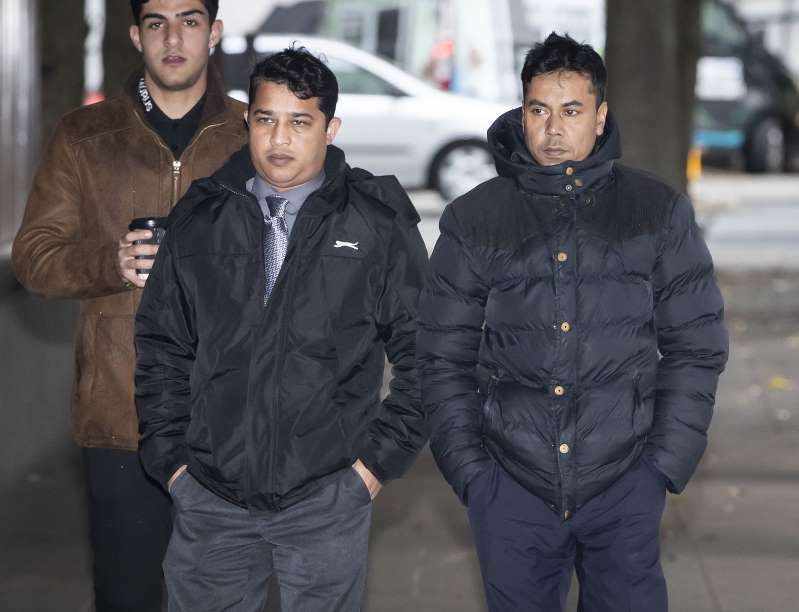 The restaurant's former owner, Mohammed Abdul Kuddus, 40, and an employee, Harun Rashid, 38, were found guilty of manslaughter and a pair of food safety violation charges at Manchester Crown Court. They are scheduled to be sentenced Nov. 7. "This was a tragedy waiting to happen, and one to which these defendants had given little or no thought," Det. Chief Insp. Mark Vaughton, of Lancashire Police, said in a statement after the verdict. "There was a casual disregard for customer safety; hazard control; food safety and hygiene that was obvious, blatant and widespread," he added. British authorities had shut down the Royal Spice after the incident, but the restaurant has since reopened under new ownership. "It breaks our heart that Megan didn't get the chance to sit her GCSE exams, something she had worked so incredibly hard for, to celebrate her 16th Birthday or go to the school prom with her friends," the girl's parents, Adam and Gemma Lee, said in a joint statement read outside the court. "Megan didn't get the opportunity to fulfil her ambition of working in musical theatre, to explore the world, fall in love or have children of her own. It's these thoughts that cause us great sadness because nobody deserved it more than Megan." The couple pleaded with other restaurants to follow proper food safety precautions and to "not play Russian roulette with precious lives."